Focused on Customer Acquisition? 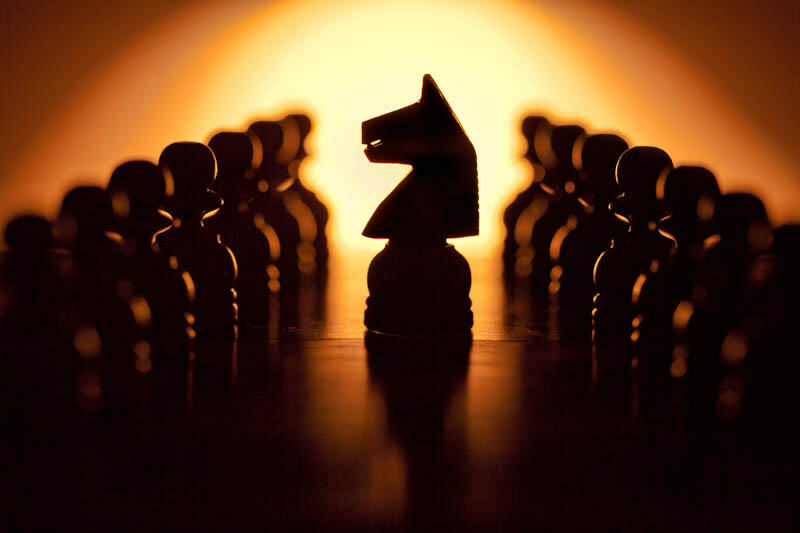 Is Marketing Automation Part of Your Game Plan? Everyone seems to want a piece of the marketing automation (MA) pie—probably because this pie is now worth an estimated $1.8 billion. That’s a 50 percent annual increase for the third year in a row. If your business focuses on customer acquisition, you need marketing automation in your game plan. Learn how to leverage this increasingly popular marketing tool to improve your company’s bottom line. MA is, at its core, the use of web services and tools to streamline your processes and efficiently combine your various campaigns through a variety of channels. For example, you can track campaign performance, segment your audience, schedule your posts, and coordinate targeted email blasts all using sophisticated analytics. So, what’s the end game? Marketing automation ultimately serves to create personalized experiences by leveraging data. MA both nurtures existing leads and generates new ones. As the cherry on top, it does this while freeing up time by automating marketing tasks—so your valuable team can focus less on the mundane and instead on devising more winning campaign strategies. To those just dipping their toes into the world of automation, I’m often asked, “Where do I begin?” The MA concept can seem daunting at times, but it’s well worth the training, implementation, and effort it takes to do it well. Just look at some of its uses. Nearly 90 percent of respondents to ResearchCorp’s Demand Generation Adoption Survey said they deployed their marketing automation systems with customer relationship management (CRM) tools. There’s perhaps no better way to acquire and nurture existing leads than through MA. It saves time, integrates well, and seamlessly moves prospects and existing leads through the lead funnel by leveraging data. 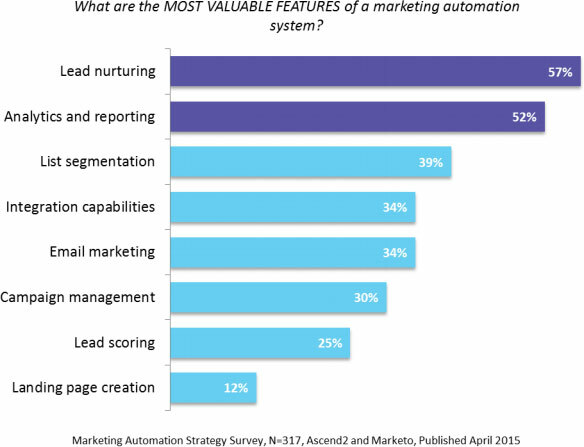 In fact, frequent lead nurturing is cited as the most important factor in a marketing automation strategy, with data and analytics a close second. The primary reason for the success of lead nurturing is the fact prospects are in various buying stages from just doing research to actually making a purchase. Most reports suggest only 25% of the leads you generate today will purchase in year one while 75% of the leads you generate will not make a purchase decision until year two or three and in some cases even longer. This implies if you don’t have lead nurturing in place 75% of your marketing budget is wasted on leads that will not purchase this year. Predictive analytics is perhaps one of the biggest opportunities for MA. Predictive analytics power targets ads and emails, getting the buyer in the right place at the right time. Marketing automation strategy helps do this effectively. Again, it’s about nurturing those leads through the funnel and turning prospects into brand loyalists. According to a Pew Research Center study, 92 percent of Americans say they have a cell phone and 90 percent say they carry it with them frequently—that’s a lot of opportunity sitting in your pocket. MA can even help with your mobile campaigns by creating and delivering content optimized for the platform. Mobile multichannel platforms include in-app messaging, push notifications, texts, and newsfeed updates. These platforms also help with triggered campaigns: Alerting a shopper when he or she has abandoned a cart, setting up rewards plans, and even sending a push notification for a special deal if the shopper is within a set distance of your brick-and-mortar store. MA is a powerful business tool, but it won’t do the hard work for you. Marketing automation can reduce menial work tasks and eliminate redundancies for your marketing department. It cannot—and will not—replace the valuable work of your human team. Use automation efficiently to offload basic work tasks, freeing up time for your marketing team to do what it does best—creating campaigns that empower your brand and acquire new customers. Other considerations include total cost of ownership (TCO) of marketing automation. MA is not a silver bullet by itself. MA requires time to train your staff and resources to manage. Example: The more complex your lead nurturing programs are the higher it cost to create the content to fuel those campaigns and implement such programs. The integrated Marketing Association is launching a research study in February 2017 on the TCO of Ownership of MA. Our goal is to help marketers and business professionals alike to the actual costs associated with MA.